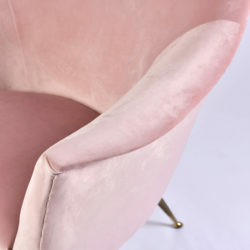 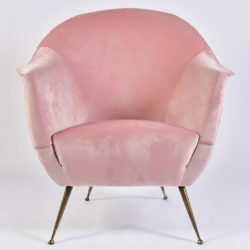 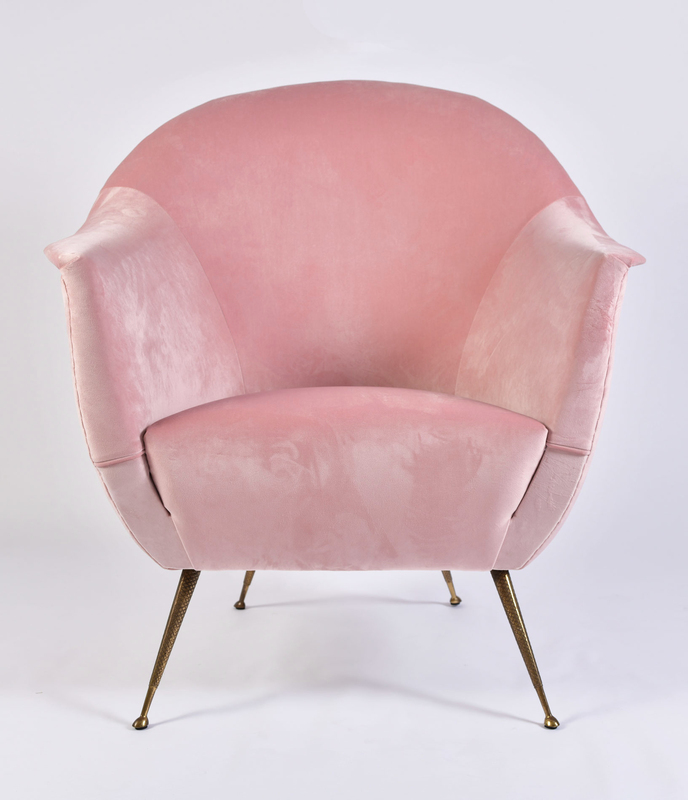 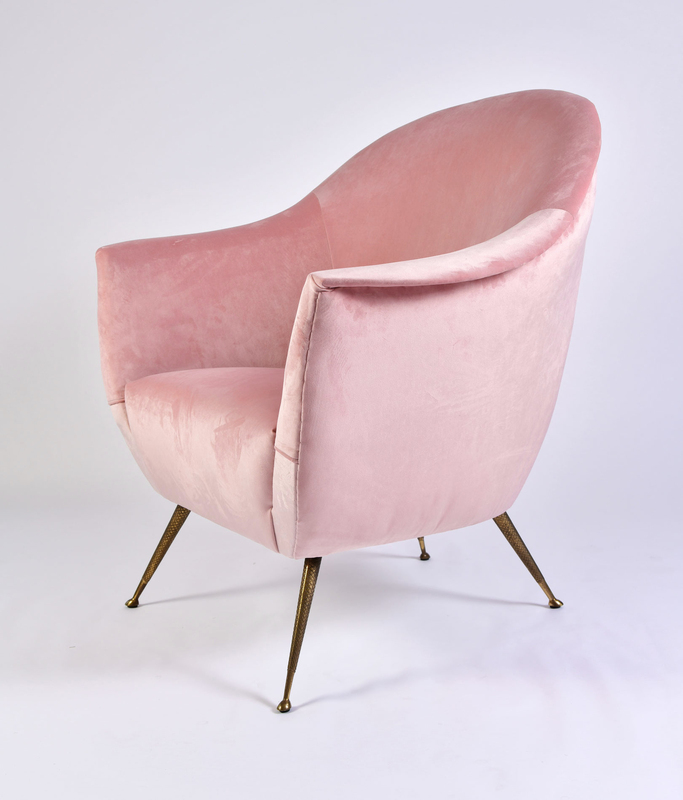 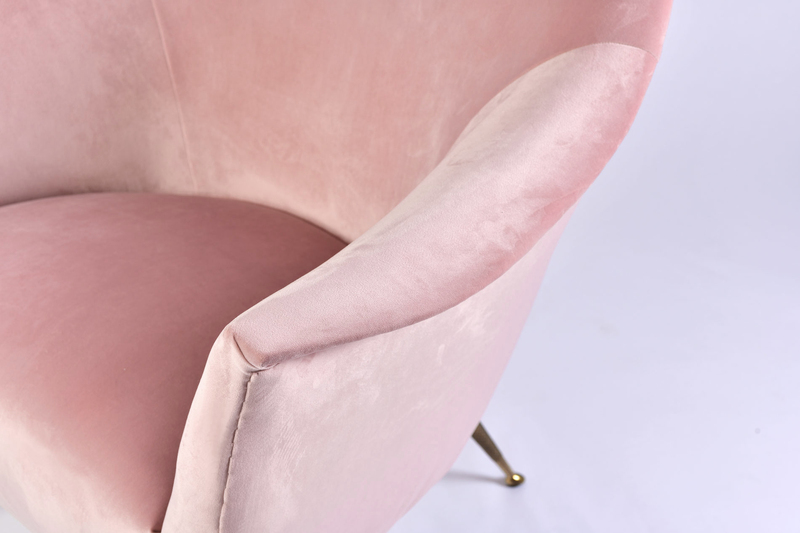 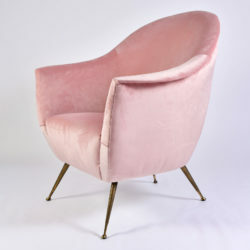 Softest pink and softest velvet. 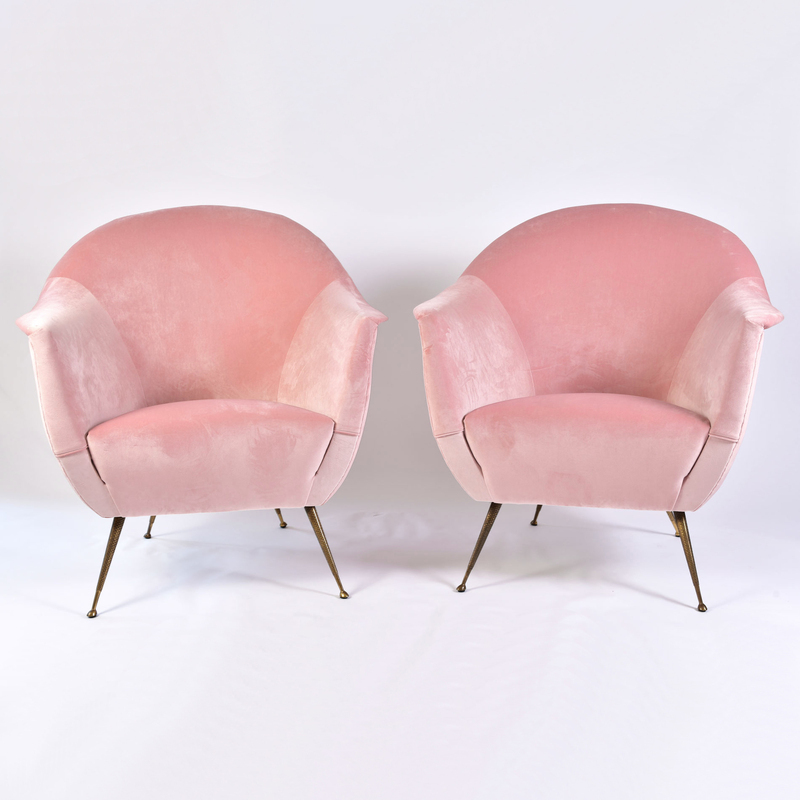 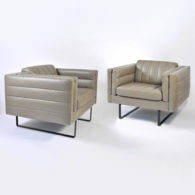 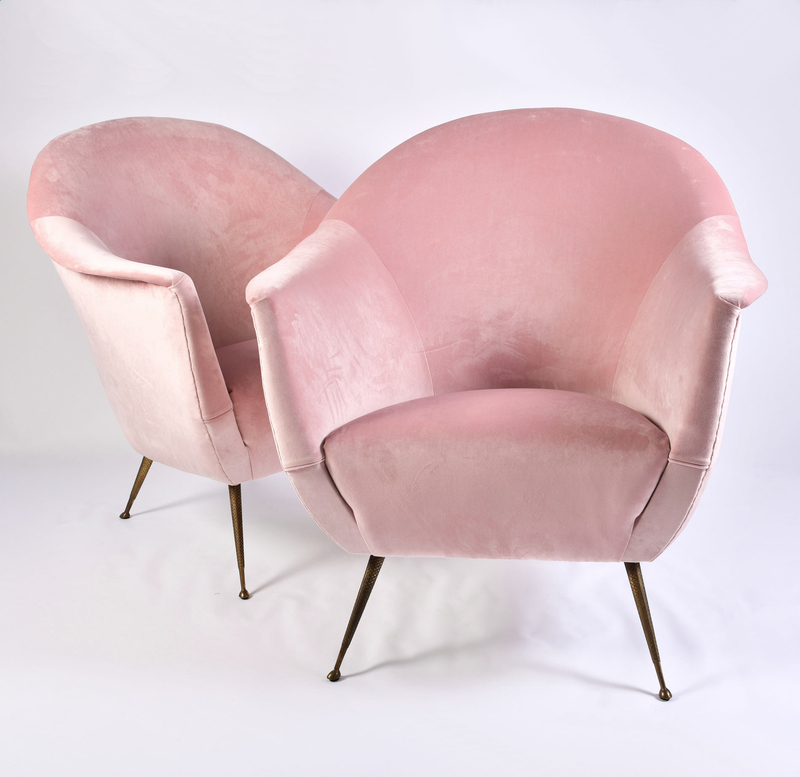 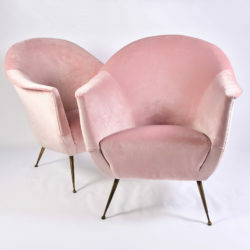 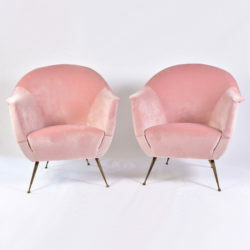 Curvaceous and comfortable Mid-Century Italian armchairs; recently re-upholstered. 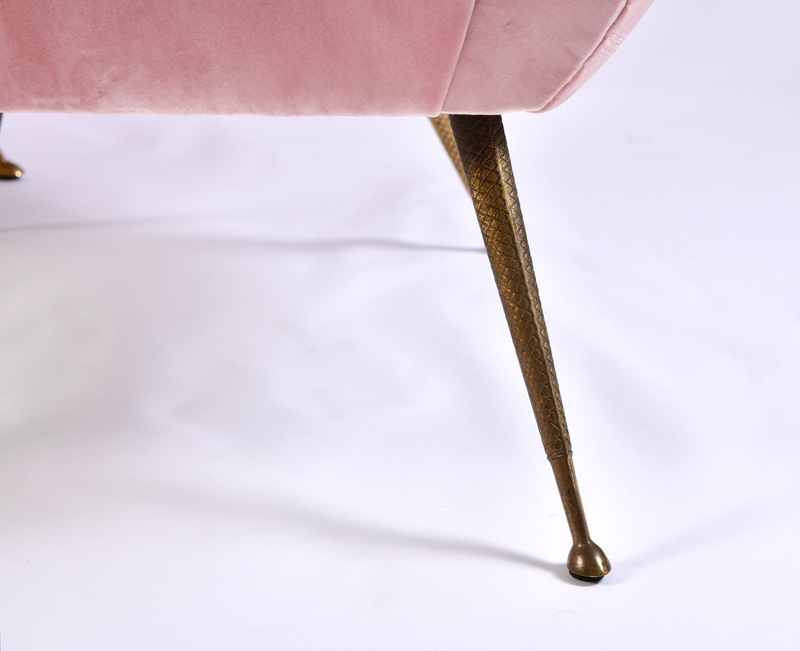 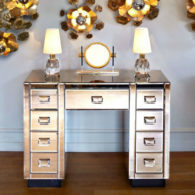 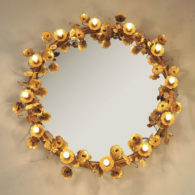 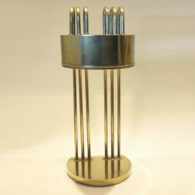 Antique gold tapered legs are etched in subtle criss-cross pattern. 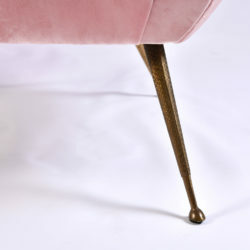 See also FS981 for a matching circular stool/footrest.